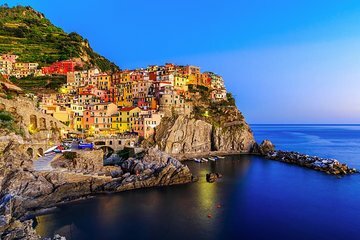 Explore the beautiful seaside towns of Cinque Terre on this full-day small-group tour from Florence. Stroll through the alleyways of Manarola before taking a relaxing boat ride to Vernazza to enjoy some lunch and free time. Before heading back to Florence, take a drive to the only town not located on the water, Corniglia, and take in the beautiful views of Cinque Terre and walk around the medieval town. Our driver/guide Simon was super professional and a good guy. He was an excellent driver and very patient in waiting for us throughout the day we had an infant in tow and made sure to go out of his way to open doors, trunk, etc. and made sure we had a great day seeing four of the five beautiful Cinque Terre towns.